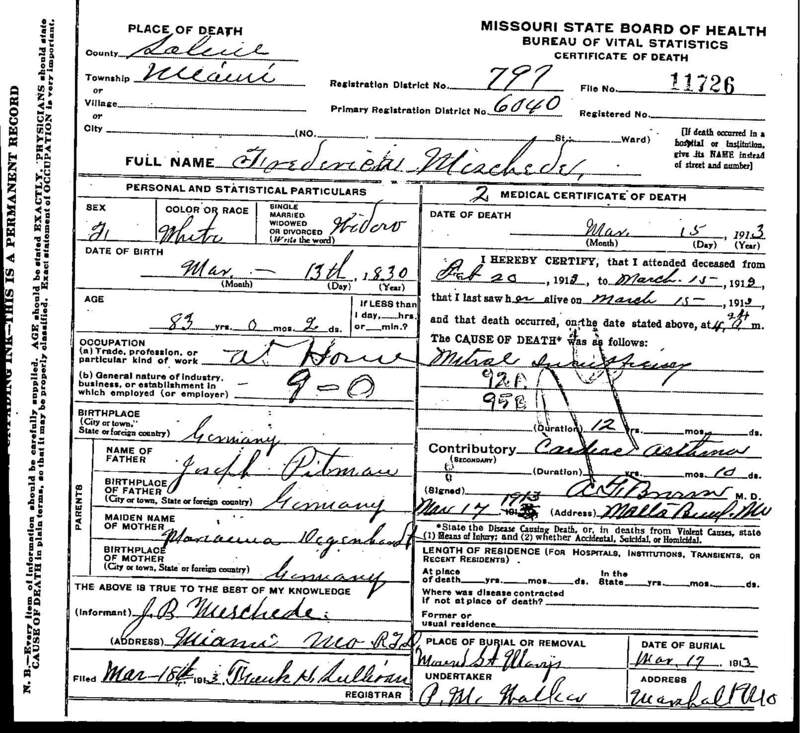 "Death Record - Fredericka "Frederica" Pittman"
Birth location: Eversberg, Westphalia, Prussia (Former German Empire, now Germany). Death location: Miami Township, Saline County, Missouri. Burial location: Mt. St. Mary's Cemetery, northwest of Shackelford, Saline County, Missouri.